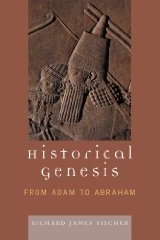 "Wood from ‘Mount Ararat’: Noah’s Ark"
Civil, Miguel "The Sumerian Flood Story"
"In Search of the Historical Adam, Parts I and II"
"Terms for Slaves in Ancient Mesopotamia"
"Individual Prayer in Sumerian: The Continuity of a Tradition"
"Royal Inscriptions from the Mesopotamian Periphery"
"Has the Garden of Eden Been Located at Last?" "Mitochondrial Genetic Analyses of the Tyrolean Ice Man"
"The Noachian Flood: Universal or Local?" "Qualitative Hydrology of Noah’s Flood"
"Madagascar's Lemurs on the Edge of Survival"
"Reflections on the Mesopotamian Flood: the Cuneiform Data New and Old"
"The Oldest City of Sumeria: Establishing the Origins of Eridu"
"Ur-Al `Ubaid, Uquair and Eridu"
"The Archaeological Evidence for Metallurgy and Related Technologies in Mesopotamia"
"Ur and Eridu, the Prehistory"
"The Assyrian King List from Khorsabad"
"The Search for Modern Humans"
Reiner, Erica "Thirty Pieces of Silver"
"The River Runs Dry - Biblical Story Preserves Historical Memory"
"Recent Biblical and Oriental Archaeology,"
"Adam in Ancient Mesopotamian Traditions"
"Stone-Age Sanctuary, Oldest Known Shrine, Discovered in Spain,"
"The Mesopotamian Flood Stories: A Comparison and Interpretation"
"Analysis of Genesis II, III"
"Early Pastoral Nomadism and the Settlement of Lower Mesopotamia"